This is a phrase we live by at Perudo. In over 40 years in our industry, we've created everything from bright blue sheep, life-size bear statues, giant Minions and hundreds of golden pineapples! If you can dream it up, we can create it. 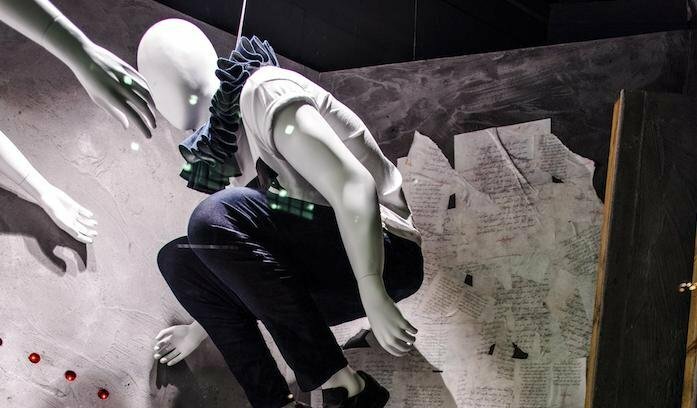 Our work spans from visual merchandising to create show-stopping retail displays, to manufacturing technical models that bring your ideas to life, to full-scale bespoke art installations that achieve our clients' dream campaigns. Of course, we'll work with you to meet your deadlines and stay within your budgets, but we feel fortunate to work in a place where creativity is our main driver and imagination is key to our success. Our highly skilled team are here to advise you on your unique requirements, and our extensive facilities based near Peterborough offer unique manufacturing capabilities to achieve your goals. So if you need to find something special, one-off and totally bespoke to your requirements, we have the solution. We'd love to help, please click to get in touch!